Settle into a cozy chair, tune the radio to AM 800 and expect to hear almost any type of music coming from the speaker. 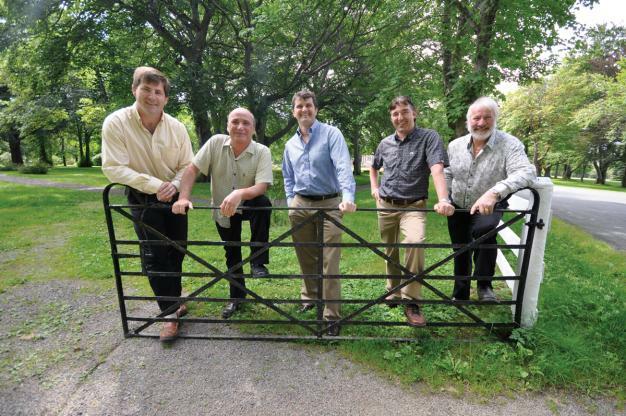 It could be the trumpets of a military band, a Bruce Springsteen single, or the familiar traditional Newfoundland sounds of Bud Davidge or The Wonderful Grand Band. Or you could get a talk show, a church service or community announcements. It’s the variety of programming that defines VOWR. 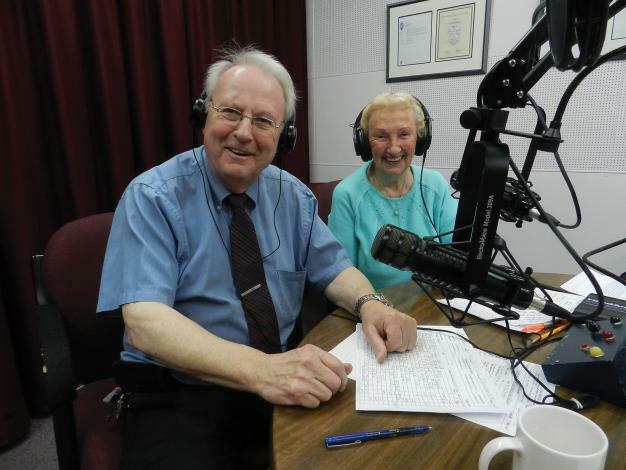 For almost 95 years, VOWR has been broadcasting from its studio adjoining Wesley United Church on Patrick Street in St. John’s. “We’re kinda like a time machine in that way, we’re kind of stuck back here. But it’s cool ’cause there’s so much good music from back then,” explains Kenney Purchase, broadcaster and host at the station. 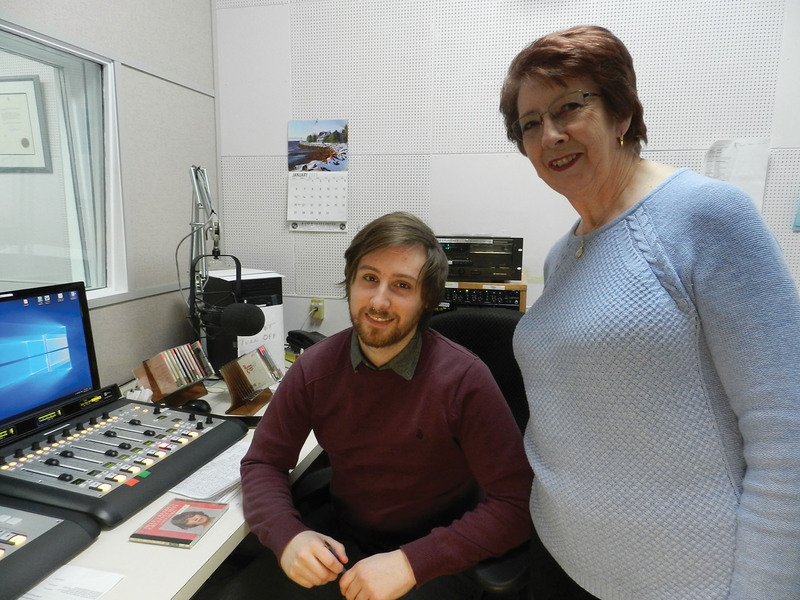 Kenny Purchase, broadcaster, and Doreen Whalen, station manager, help keep VOWR on the air 24/7. VOWR is the province’s oldest radio station, founded while Newfoundland and Labrador was a country (it is included in a special section of the 1949 Terms of Union with Canada). Originally called 8WMC, it first went on air in July 1924, and was founded by Reverend Joseph Gilbert Joyce as a way to reach parishioners who couldn’t make it to church. Using cutting edge technology of the time, people could use their telephones to call in and listen to the broadcast. It was the first church-run radio station in North America. A team of approximately 70 volunteers keeps VOWR on the air 24/7, and there’s a whole host of jobs that need to be done. Some work with their library of music, or tidy the place up. Not everyone wants to host a show, and if they do there’s an audition process. No one is paid and people commit the time they’re able, so while some are here once every two weeks, others are at the station almost every single day. It also poses some challenges, Doreen says. A lot of their volunteers are retired and want to head down South in the winter, and sometimes a volunteer will call in at the last minute because they can’t show up to their shift. But they make it work. Their listeners make it worth the effort. Doreen has a folder filled with letters they’ve gotten from fans, with messages like, “‘You’re with me 24/7,’ ‘You help me make it through the night,’” she recites. Sometimes these letters come with donations, cheques valued up to $100. VOWR runs completely on donations to cover their costs, which is about $100,000 a year. In fact, up until the past year VOWR was also operating with donated equipment. While it all worked, there were some problems. “It was routine a tape machine would go; it would just stop working. Or the record players were scratchy, or strange problems with the broadcasting. Thankfully, that’s been eliminated with the new equipment,” Kenney explains. The station also gets donations of a musical variety. The VOWR library is stocked with more than 300,000 selections, and “that’s only a portion of what we’ve got,” Doreen says. On the floor below the station there are even more records and CDs. 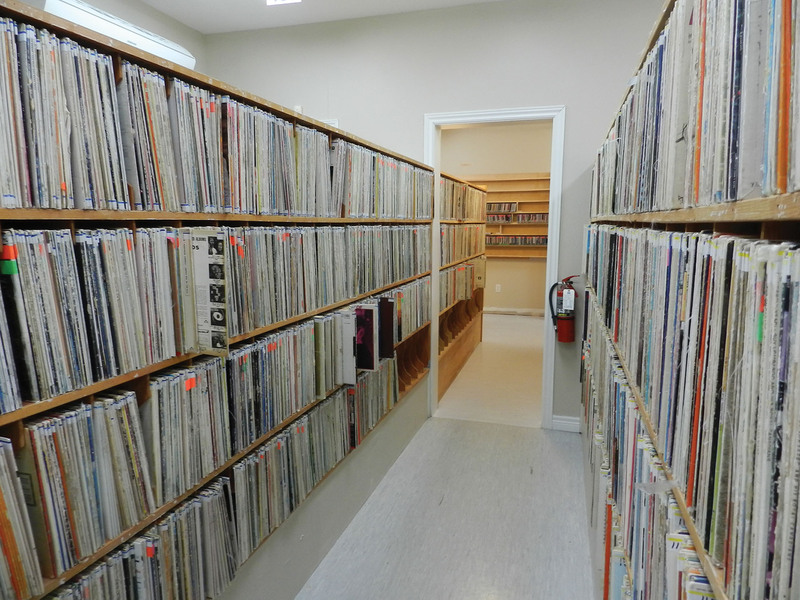 They received some 46,000 albums from CBC over the years, and local artists will drop off their CDs to the station, hoping to get some airtime. Thanks to all those donors, VOWR has a wide variety of music to choose from, in all sorts of formats. During a walk through the station, you can find cassette tapes, CDs, 45s and 78s. The station doesn’t purchase any of the music they play. While the broadcast is enjoyed by radio listeners in Newfoundland and Labrador, its reach goes far beyond the province. Its signal is beamed around the globe through the VOWR website. 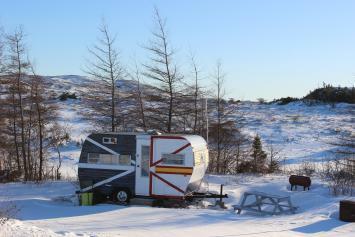 “We hear from people all over the world; they’re not just Newfoundlanders. A lot of them are expats, there’s no doubt about that. But we heard from people, just a couple of weeks ago, people from Finland and Norway,” Doreen says. Many of those listeners have no connection to the province but find the station on their own. Almost 100 years after Reverend Joyce made his first broadcast, the mission of VOWR has largely remained the same. “Outreach to the lonely, sick, the shut-in, the people who are working all night,” Doreen says. “There are so many people who want a human voice to hear in the evening or want that feeling of closeness… making people feel good and welcome,” Kenney adds. Rev. Joyce died in 1959, long before the internet, and now the church service is on YouTube. “So it’s crazy how far we’ve gone,” he says. In the July issue of Downhome, Dennis Flynn profiles Captain Roger Penney, who flew the Canso 704, a water bomber, into St. Anthony Harbour for its final flight in August 2007. The airplane is now part of a memorial park in the town, dedicated to Captain Ronald Penny and pilot Yannick Dutin, who lost their lives fighting a forest fire in the Bay St. George area in a similar plane. To watch a video of the plane's final flight into St. Anthony, click here. If you are interested in supporting the memorial project, mail a donation to the Fallen Pilot Memorial Park via The Rising Sun Developers, c/o Town of St. Anthony, P.O. Box 430, St. Anthony, NL, A0K 4S0. If youre an Atlantic Canadian, you dont have to book a trip to Disney to experience thrilling adventures. We have plenty of our own high-flying fun right here at home with a wide variety of ziplines to experience, located in some of the prettiest places the entire country has to offer. So, harness up and get ready for a wild ride! Newfoundland and Labrador Marble Zip Tours: Since 2008, those with a thirst for adventure have been flocking to Steady Brook on Newfoundlands west coast to view Steady Brook gorge and falls from on high. Eight zip lines provide the ride of a lifetime, plus youll land at 10 platforms along the way  giving you ample time to drink in the gorgeous view. Check out Downhome's "zip-cam" video, shot shortly after Marble Zip Tours opened. North Atlantic Ziplines: Starting this spring, North Atlantic Ziplines is introducing the high-flying activity of ziplining to Newfoundlands east coast in the scenic fishing community of Petty Harbour. The company estimates that once complete, the course will stretch across 3.2 km in total  with scenic vistas in all directions. New Brunswick Cape Enrage Adventures: In addition to rapelling, rock climbing and watching the famous rising tides at Cape Enrage in New Brunswicks spectacular Bay of Fundy, brave souls can also zipline across a valley to a 150-year-old lighthouse with Cape Enrage Adventures. Zip Zag: Located in Grand Falls, New Brunswick, Zip Zags zipline takes folks for a dramantic ride across the waterfalls and gorge of the Saint John River. Plus, their dual-racing zipline allows you and a friend to take the thrilling adventure together, at speeds of 30 to 40 km/h. Click here to watch videos of Zip Zag in action. Over the Hill Zip-Line: Thrill seekers zip along a 1,000-foot zipline hovering about 40 feet above the Little SouWest Miramichi River in Lyttleton, New Brunswick. After your first ride across, youll hook onto an 800-foot cable and land at the river shore. 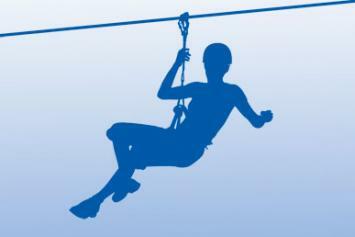 TreeGo: With locations in Mactaquac and Moncton, New Brunswick, TreeGo is much more than a standard zipline. The entire course takes adventure seekers through a series of exciting challenges  swinging on a Tarzan rope, keeping your balance as you cross log swings, and of course, a zipline adventure that cuts through a beautiful forested area. Click here to watch videos of all of TreeGo's adventures. Saint John Adventures: Visit Fallsview Park to experience Saint John, New Brunswicks only zipline adventure. Thrillseekers zip over falls and rushing water on five ziplines before reaching the final landing on False Island. Bring a friend, because the last zipline is a dual one  a magnificent race to the end. Click here to watch footage of folks enjoying Saint John Adventures' zipline. Nova Scotia Anchors Above Zipline Adventures: Nova Scotias one and only zipline, Anchors Above Zipline Adventures, is located in Pictou County. The first of two ziplines is 1,100 feet long and 240 feet high, with a 240-storey drop  while the shorter, final leg of your high-flying journey will drop you a full 10 storeys! Whether youre spending the weekend boating, camping or partying at the cabin, here are some tongue-in-cheek, but surprisingly practical, things to take or do to make the most of this May Two-Four. (In order of no importance.) 1. Pack several changes of clothes: rubber clothes, wool clothes, flannel clothes, summer clothes. Be like the Scouts, prepared for anything. 2. At least 5 tarps  one to cover the cold, wet ground; one to go over the tent; one for the cooking area; and two more to block the wind. 3. Deck of cards, to keep the youngsters from killing each other cause its too miserable to play outside. 4. Sunblock. Many May campers have been caught off guard by a sudden sunny break and come home looking like a lobster. 5. Lifejacket, seriously. And wear it. A seat cushion wont save you from drowning. 6. Cell phone, preferably a smartphone so you can tell your whole social network if you get lost, or that youre in the woods and forgot toilet paper #bummer. 7. Guitars, harmonicas, ugly sticks  if you cant play them, you can use them as noisemakers to keep the bears away. 8. Garbage bags to put your sleeping bag in  to keep it dry at night. 9. Snowsuit to sit around the fire at night. 10. Newspapers  they make great fire starters and, if youre stuck, toilet paper. 11. A shovel  in case it snows, and to clear a spot for your camper/tent. 12. Good quality fly oil to douse yourself in. 13. Coat hanger, to use as makeshift rabbit-ears antenna, a fire-proof handle for the camp kettle, a marshmallow roaster, or a slim hope of unlocking your car to get the keys inside. 14. Disinfectant wipes to wash off every surface of the cabin after you find out what rodents have been wintering there. 15. A hat that will keep your head warm and dry, and make you presentable for the trip back to civilization. 16. A bucket to carry water, to sit on around the fire, to hold the fish you catch, or to pee in if youre that afraid to leave the tent at night. 17. An axe to chop wood, cut through ice, or pose with for outdoorsy photos for facebook. 18. Homemade bread and tea bags. You cant start the day without a feed of toast and tea! 19. Disposable dishes and cutlery. The weekends too short to be doing housework. 20. Dry wood for the campfire or cabin stove  cause you wont find a dry stick to burn in the woods in May. 21. Snowmobiler locater beacon  so rescuers can find you when the unforecasted overnight snowfall crushes you in your tent. 22. A can opener. Theres nothing more frustrating than when you break the tab-thingy off the can of sausages, beans, KAM etc. before you get it open. 23. Stick of bologna  walk softly over the marsh but carry a big stick! 24. Say shag it and rent a hotel room. 25. The best way to survive May 24 in NL? Spend the weekend with friends and family who you can count on for a good time no matter the location or the weather!